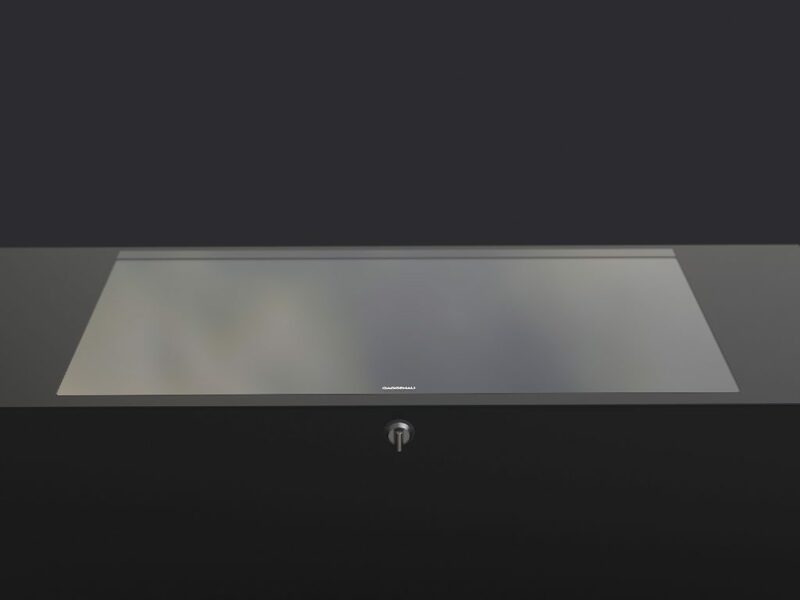 In this concept for the Gaggenau Design Workshop 2007 we used all advantages of the induction technology and in what was then the current evolution in the interface technology. 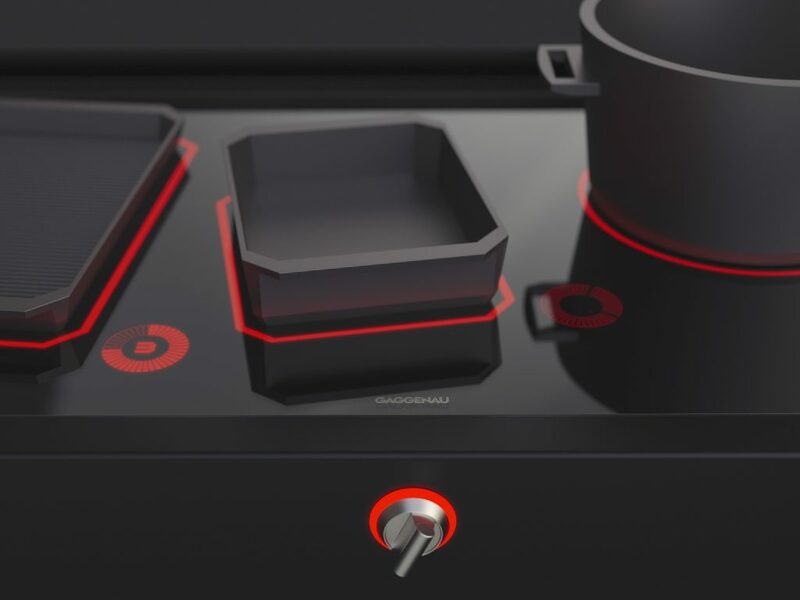 Induction hobs are almost as fast as gas stoves and a lot more saver, because the cooking plate doesn’t get that hot. But induction fields still have been developed with the same old layout of regular cooking fields, “four” round dots. 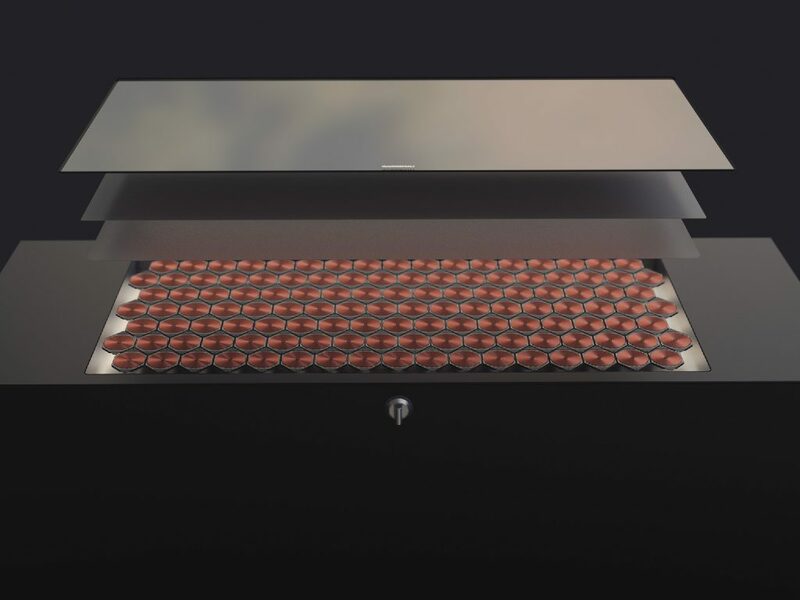 This concept uses instead of four big induction coils a collection of small ones. 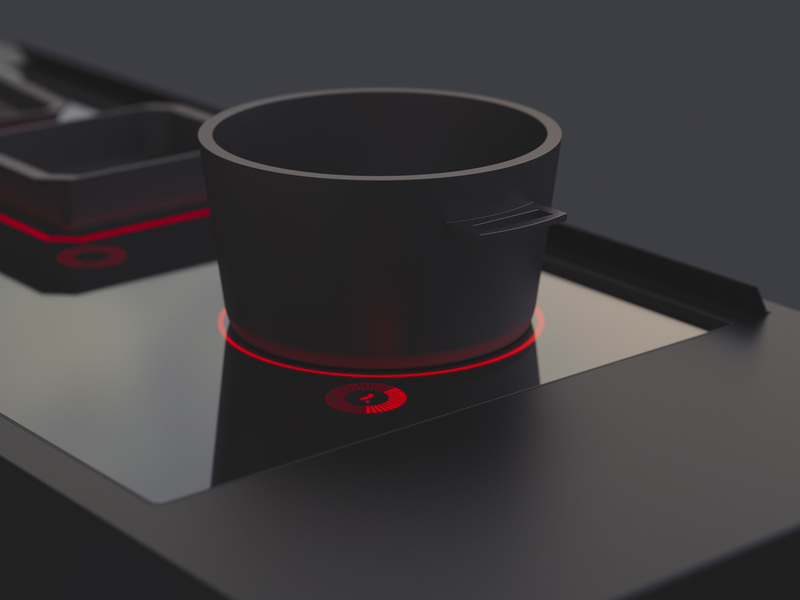 The position, size and shape of a pot is recognized by sensors and only the coils which are needed become activated. 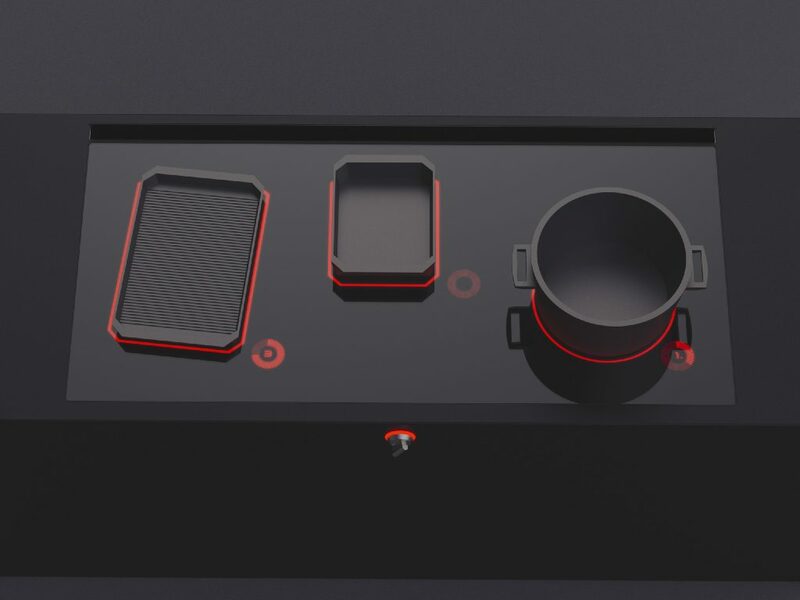 If the pot is moved, other coils get activated. No energy is lost, because only the way of the electricity has to change to generate the magnetic field on another position. 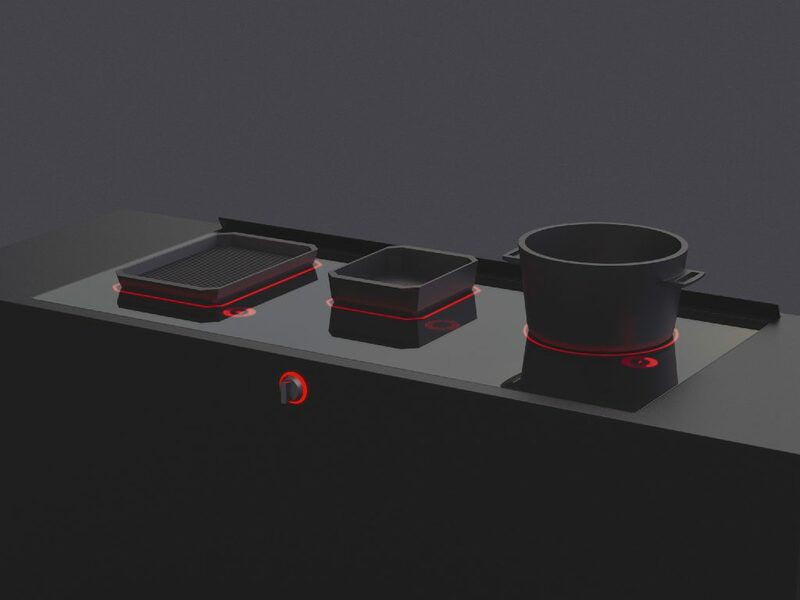 You can relocate the pot while cooking and change the temperature with a interactive touch interface.